SKU: SC2122AB. Categories: Abalone, Earrings, Silver Sealife. 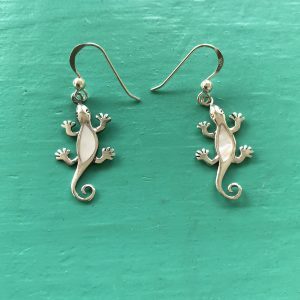 Tag: Gecko Abalone Drop Earrings. 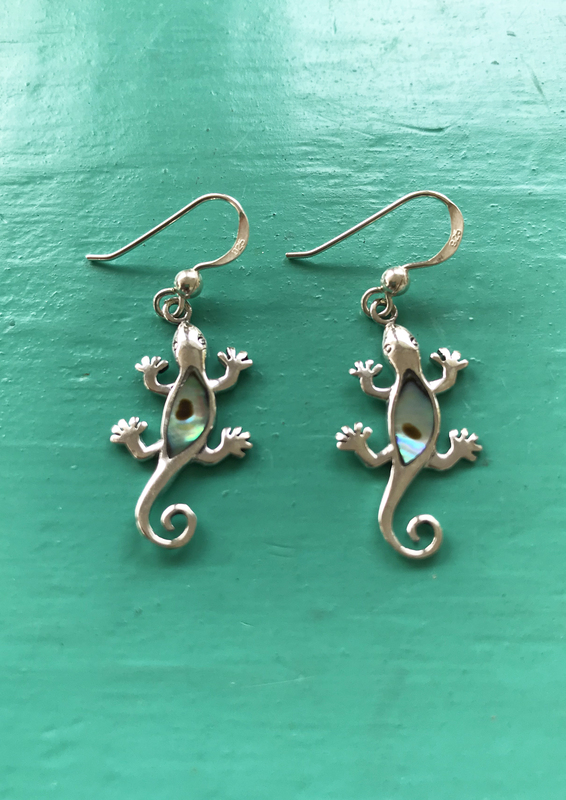 Gecko Abalone Drop Earrings. 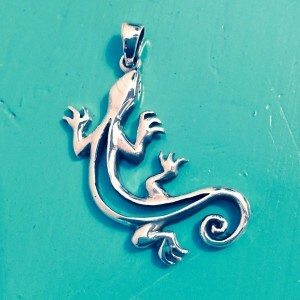 Perfect for those who love Lizards and Geckos. Made with Sterling Silver and inlaid with Abalone shell. 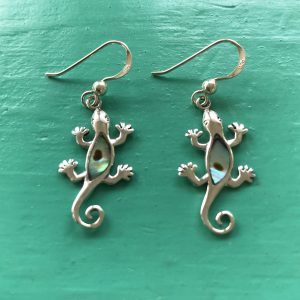 With its irridescent hues of blues, greens and purples, the abalone shell makes these geckos/lizards shimmer in the light. Here in Antigua and all over the caribbean, you can while away quite a time watching the Geckos and Lizards go about their business. Eating all the insects available, changing colours, playing, chasing. They are harmless and are definately fascinating to watch. 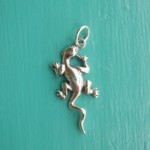 Take a look at our Lizard/Gecko pendants too. They are fabulous.